Cornwall has a great reputation for producing some of the best ales in the country. Many of our local Cornish ales can be found in pubs and supermarkets across the UK. 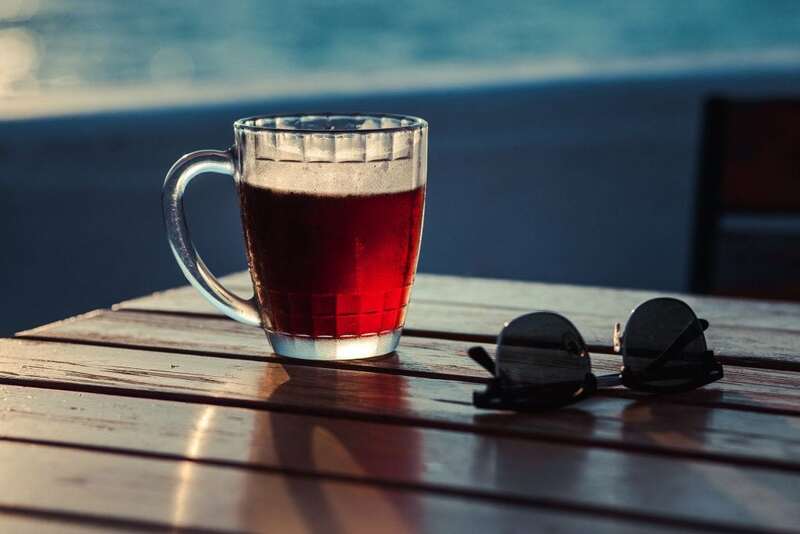 Our Cornish ale guide gives you some examples of delicious ales from Cornish breweries to try when you’re here on holiday. 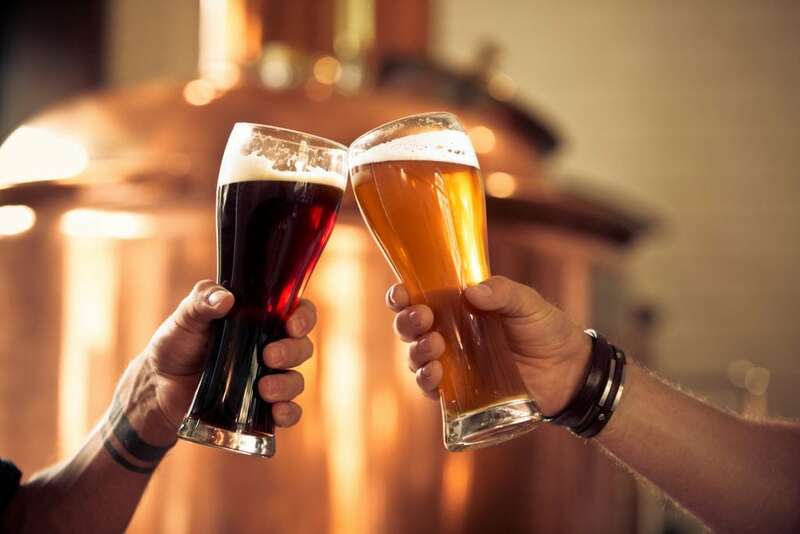 See how many of these 9 real ale breweries you can spot in the local pubs! We kick off our Cornish ale guide with an award-winning ale. 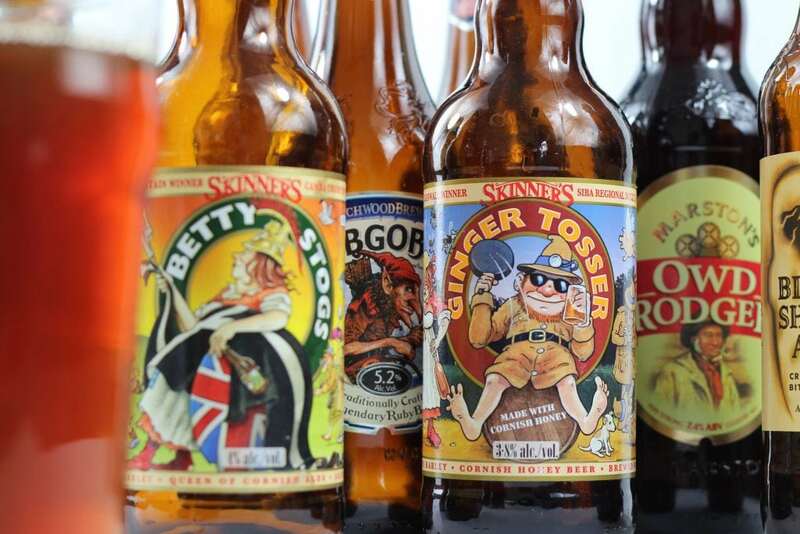 Skinner’s Brewery use whole-flower hops and the finest Cornish ingredients to produce their ‘hoppy’ Cornish ales and beers. Steve Skinner and his family set up a brewery on the banks of the river in Truro in 1997 and brewed a golden ale which they named ‘Cornish Knocker’ after a local myth about tin-mining fairies. Betty Stogs copper coloured bitter was next. In Cornish folklore Betty Stogs was full-bodied, golden-hearted and a little bit fruity. The ale named after her has a malty and floral taste with a twang of grapefruit. Once you’ve tried the full-bodied Betty Stogs and the delicate citrus and bitter taste of the Cornish Knocker, we’d recommend trying a pale ale as well for something completely different. The Porthleven Pale Ale is a zesty and refreshing choice. St Austell Brewery is one of the most well-known Cornish breweries. It was founded in 1851 by Cornishman Walter Hicks, and still remains a family business today. If you visit St Austell Brewery you can go for a guided tour in the visitor centre and learn all about their brewing process. You can try some samples at the end too! 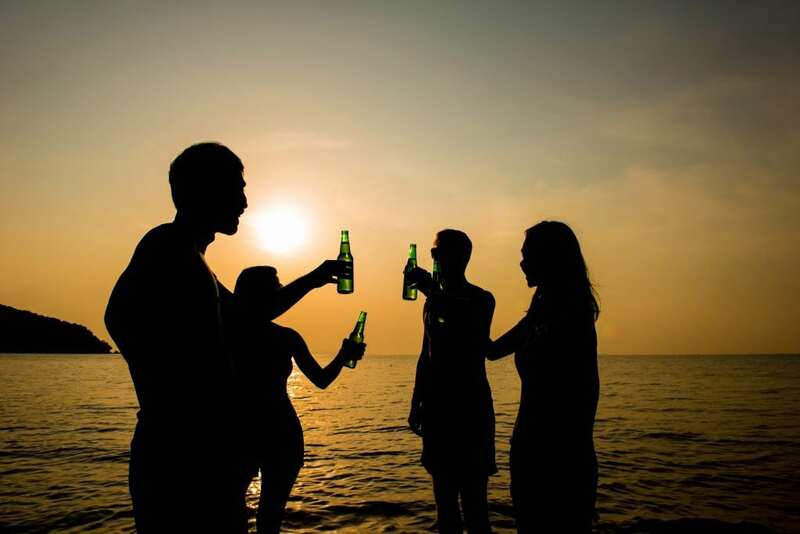 Their extensive range of award-winning beverages covers everything from pale ale and Cornish lager, to bitter, stout and red ale. St Austell Brewery ales and beers dominate many of the pubs in Cornwall, so you won’t have to go far to find some! If you like your ales pale, go for a class pint of Tribute, a refreshing drink for a summer’s day. For something more full bodied, try the HSD, a flavoursome drink best enjoyed in a cosy Cornish pub. The Ruby Jack red ale is named after a Cornish boxer and made from fruity and spicy hops, the perfect addition to a tasty pub lunch. Sharps Brewery of Rock Cornwall are next on our list of Cornish breweries. It was founded in 1994 by Bill Sharp when he began to brew beers on the rugged north Cornwall coast. 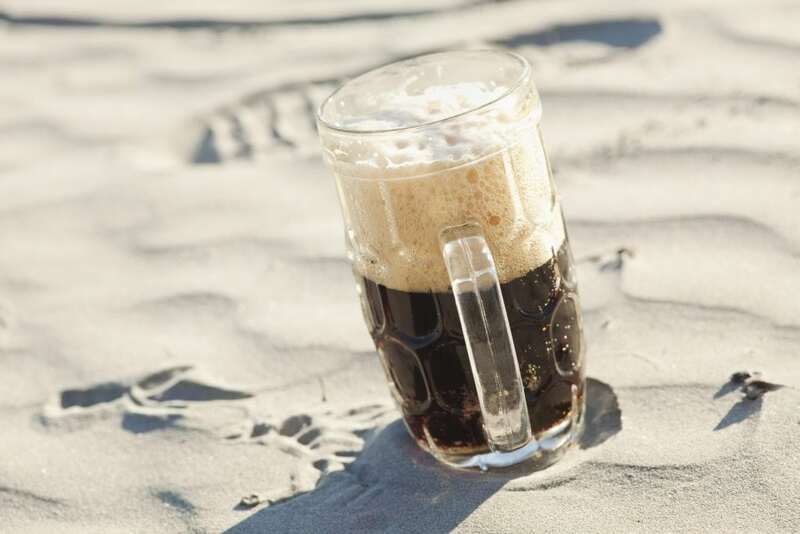 You might have already heard of their Doom Bar amber ale, which was inspired by the treacherous sandbank at the mouth of the Camel Estuary near Rock. It’s a popular dry but refreshing drink which can be found at the bar in many Cornish pubs. We would also recommend trying their Atlantic Pale Ale and the Sea Fury Special Bitter. Sea Fury has a real depth to its taste, with dark berry notes and a malty flavour. It’s name comes from the depth and strength of the Atlantic Ocean during winter storms. 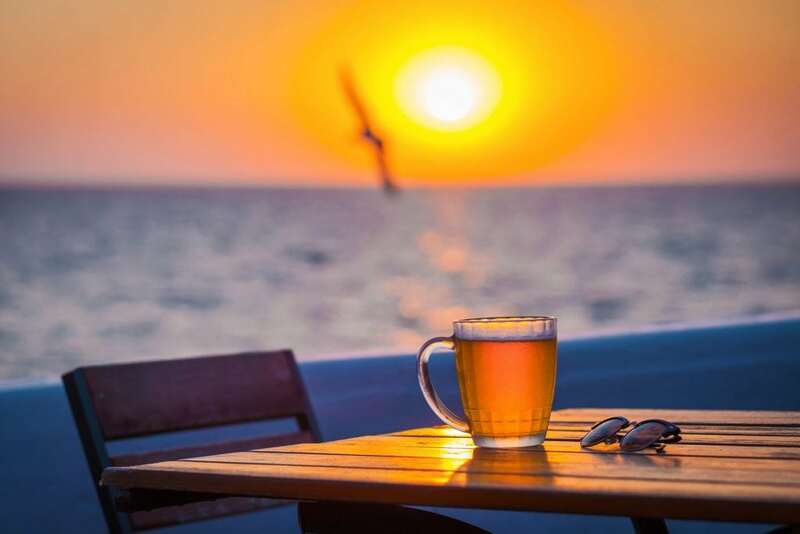 The Atlantic ale has a more tropical and citrus taste, making it more of a refreshing summer drink, ideal for watching the sunset over the Atlantic ocean. In 2008, a disused milking parlour on the edge of Bodmin Moor was transformed into a brewery. Penpont Brewery use spring water and natural ingredients to create beautiful flavours. The setting inspired their innovative flavours and the names of their ales, such as their ruby ale, Beast of Bodmin. The beast of Bodmin moor is a local story. Various sightings have been reported of a large wild cat or beast on the Cornish moorland. The vast, rugged moorland is quite spooky in the dark! The Beast of Bodmin ale has a complex, malty flavour with a fruity bite to it. We would also recommend their Shipwreck Coast deep golden ale. The name conveys the many shipwrecks which have occurred on the treacherous north Cornwall coastline. Just north of Bodmin Moor you’ll find Trebarwith Strand and Tintagel where countless shipwrecking incidents took place. This one has fruity tangerine hop flavours. Next on our list of Cornish brweries is something a bit closer to the location of Carbis Bay Holidays. St Ives Brewery is a small micro-brewer based in our lovely coastal town of St Ives. No holiday to St Ives would be complete without sampling at least one of the local St Ives cask ales! The Harbourside Light Ale has a citrus and floral hop aroma. The clue is in the name, but this one is best enjoyed on the waterside, watching boats sail in and out of the harbour. Then there’s the Brewhouse Belgian, which is inspired by Belgian beer with a Cornish twist; it’s cloudy with a zesty tone. If you’re a fan of deep and rich ales, the St Nicholas Chapel ale is for you. It’s brewed with raisins and demerara sugar for a sweet and unique taste. The Keltek Cornish Brewery was born in a stable on the Roseland Peninsula. It’s now one of the largest capacity Cornish breweries, and one of the largest in the west-country. Still a family-run business, they are now based in Redruth and use the finest whole hop flowers, British malts and hand-pitched yeast. Their hand-brewed ales play tribute to the Celtic heritage of Cornwall and the names of their ales are based on the legend of King Arthur. 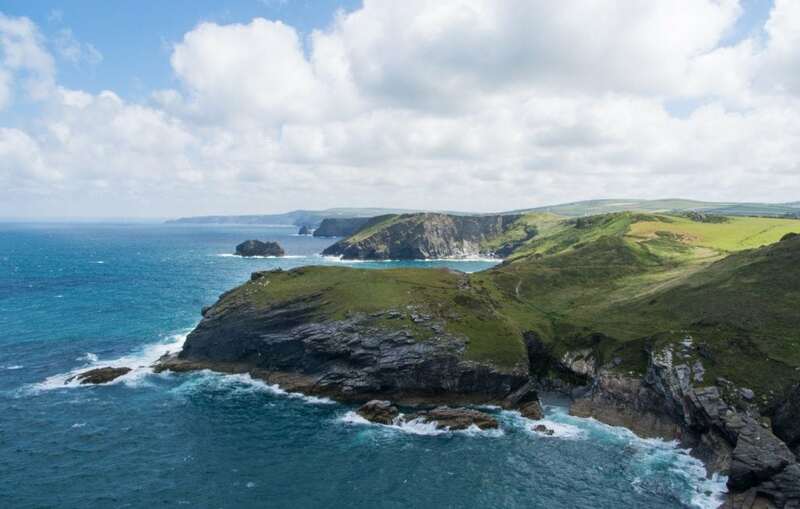 According to legend, King Arthur was born at Tintagel Castle. The Keltek Brewery ales have medieval themed names such as ‘Magik’ (a traditional bitter), ‘King’ (a well balanced premium bitter) and ‘Beheaded’ (a dark and smooth ale). Which one will you be filling your goblet with? Lizard Ales is a craft brewery based on the Lizard Peninsula, the most southerly tip of Cornwall and of mainland Britain. They’ve been brewing Cornish ale since 2004 in the old nuclear bunker in Coverack. Frenchman’s Creek is a beautiful pale ale, with a sweet and floral aroma, named after the idyllic Frenchman’s Creek, a secluded part of the Helford river made famous by Daphne Du Maurier’s novel. The Lizard Bitter is a smooth nut-brown beer, brewed from water that’s filtered by rare serpentine bedrock of the Lizard. The Helford River ale has a malty, dark and fruity taste for those who like a richer flavour. Tintagel Brewery is located on the highest farm in Cornwall, in a former milking parlour. 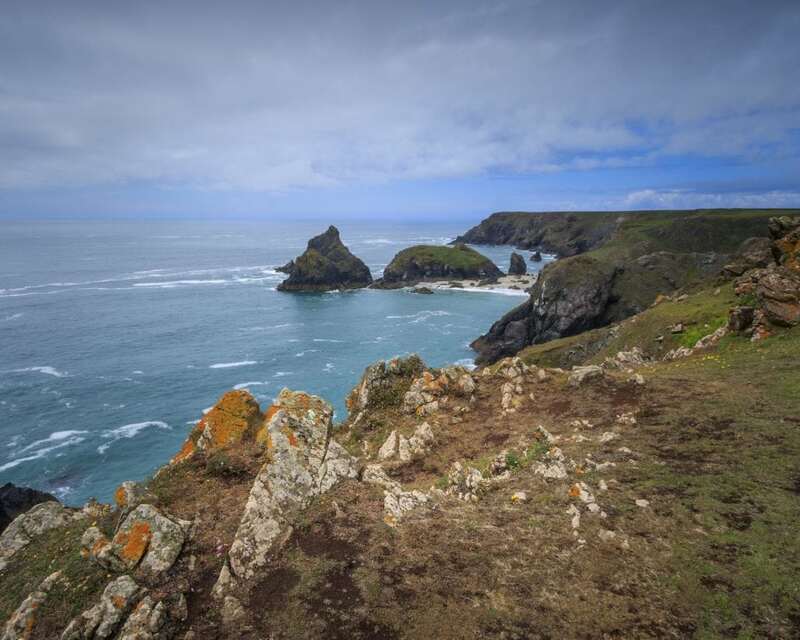 They use pure water from their spring, rising 852 feet above the sea at Trebarwith Strand, and their very own wind turbine, to produce their classic real ales. Merlin’s Muddle is their strongest ale at 5.2% and has a dark and full-bodied flavour. Like many Cornish breweries, many of their ale names are based on Cornish myths and legends, such as Castle Gold and Arthur’s Ale. If you’re a Poldark fan, you might want to try their dark and lively Poldark ale. Both fruity and bitter, we think it describes Ross Poldark perfectly! We’ve come to the last item on our list of Cornish breweries, but it is by no means the least. The Harbour Brewing Company’s dream was to brew proper beer reflecting the land (and shores) from where it came. The Daymer golden pale ale is named after a stunning beach near the brewery and has a fruity and crisp finish. Their Little Rock IPA is a dark and strong ale with a bold but citrussy finish and the Cornish Bitter has a sweet and fruity aroma. There are lots more to choose from and their ales come in cans as well as glass bottles. They even have their own Harbour clothing range! 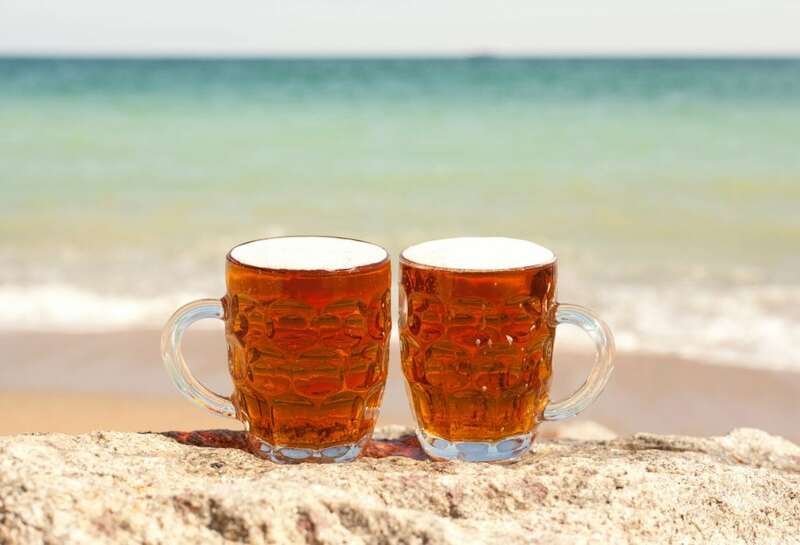 That brings us to the end of our list of Cornish breweries and we hope you have gained some knowledge about Cornish ale as well as inspiration for a few pub visits during your holiday! We challenge you to see how many different Cornish ales you can spot in the pubs. Browse our holiday cottages in St Ives.